We generally use parts in our kilns and furnaces, which are available worldwide. Should parts not be available in your country please contact us. 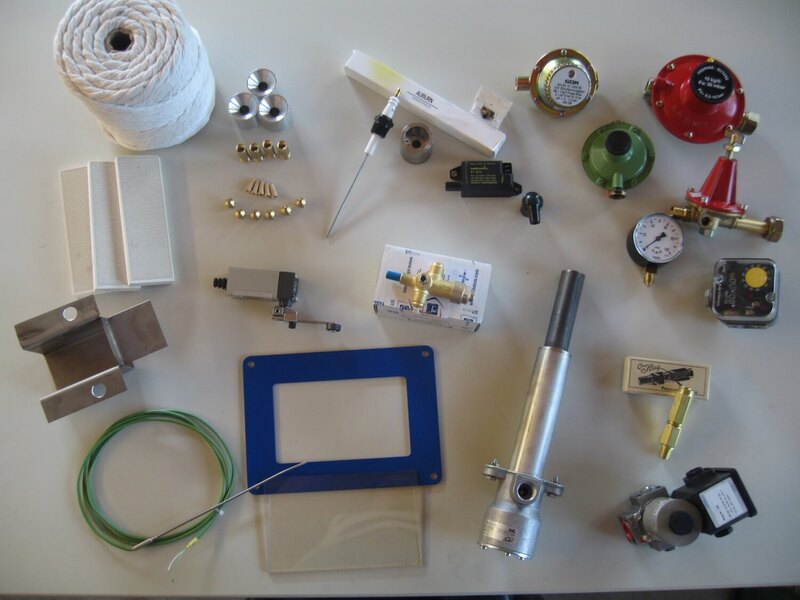 We have most parts on stock, such as spark plugs, flame rods, pilot flame nozzles, solenoid valves, ceramic tiles, radiation burners etc. Spare parts are sent to you by UPS. In your manual is a spare parts list. When you order, make your order as specific as possible. A picture will help too. Please send your order to info@blokkiln.com.